This year your teammates and you have decided to reach the end of the league. You should try to hit the ball so hard when it is thrown at you until it disappears from the field of vision. You must have a good aim and not lose any of the balls that come at full speed. You will only have three chances to take your team to the final of the league this year. Go ahead to bat and demonstrate the power of your launch. 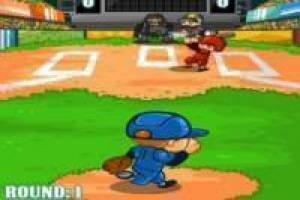 Enjoy the game Baseball hero, it's free, it's one of our baseball games we've selected.